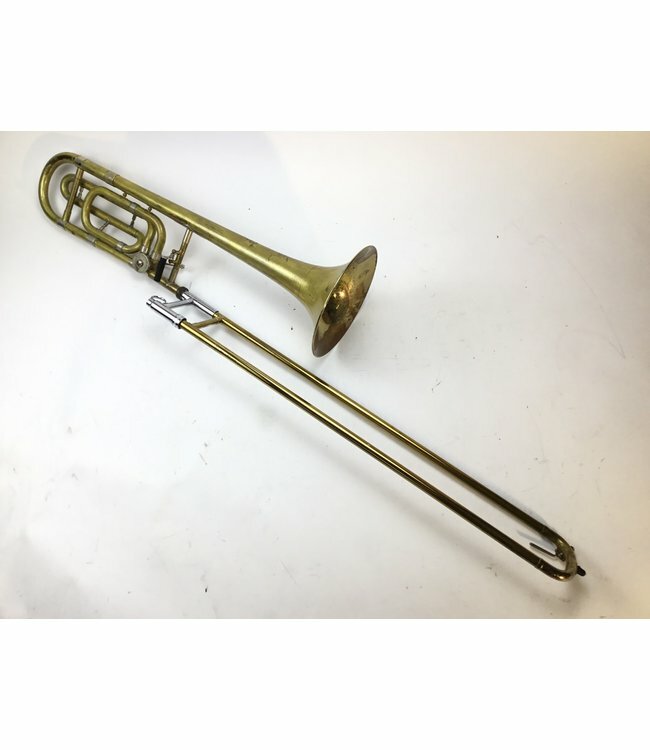 Used Bach TB200B Bb/F Tenor Trombone. .525” bore hand slide, closed wrap rotor valve section, 8 bell flare. Instrument is in good condition apart from heavy lacquer wear throughout. No case. Great first f-attachment instrument!